1932: Launched by Herd & Mackenzie Ltd, Findochty Banff-shire (Yd.No?) for John Robertson & John Robertson, Findochty Banff-shire as “COURAGE” BCK 134. 21.09.1932: Registered at Buckie BCK 134. 1937: Owned by William Pashby, Scarborough (skipper/owner). 20.11.1937: Registered at Scarborough SH 106. 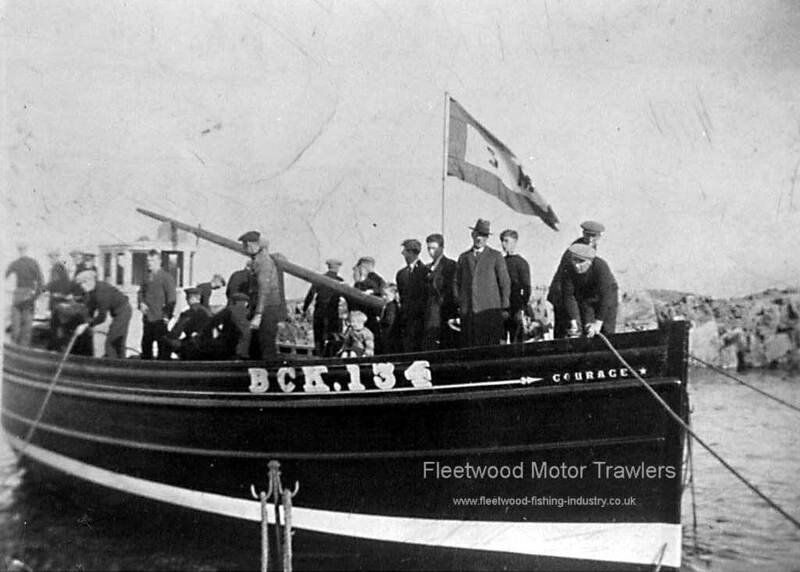 10.05.1943: Owned by Christopher Watkinson (skipper), Richard Cammish, Robert Cammish & Mathew Cammish, Scarborough. 12.08.1945: Owned by William Pashby, Scarborough (skipper/owner). 1961: Owned by Sunderland owners. 12.1964: Owned by Colin Charles Jenkinson, Scarborough. 04.01.1965: Renamed “MARGARET & WILLIAM”. 04.01.1965: Registered at Scarborough SH 142. 14.02.1968: Owned by Robert Edward (skipper), Bampton Yorkshire and George Roy Colbeck, Bridlington. 11.1968: Owned by Fleetwood owners. 10.1971: Owned by David Kent, Middlesbrough. 08.10.1971: Registered at Hartlepool HL 40. 01.07.1976: Owned by John Roberts, Hartlepool. 06/12/2016: Page re-published due to site problems. This entry was posted in Motor Trawler on 6th December 2016 by William Brixham.